1. China gas boilers adopt natural gas or liquefied petroleum gas (LPG) as source of fuel. It is used for house heating as well as hot water. 2. Working principle: well connect the heating backwater outlet, heating hot water outlet, cold water inlet, clean hot water outlet and gas inlet, then plug in the power supply and turn on the gas supply valve. Turn on the water supply valve to make the heating tube with water, and turn off it when pressure reaches 0.2MPa. Press "ON” button on the control panel. Control system will inspect whether the pressure of heating system is between 0.1 MPa~0.3MPa. 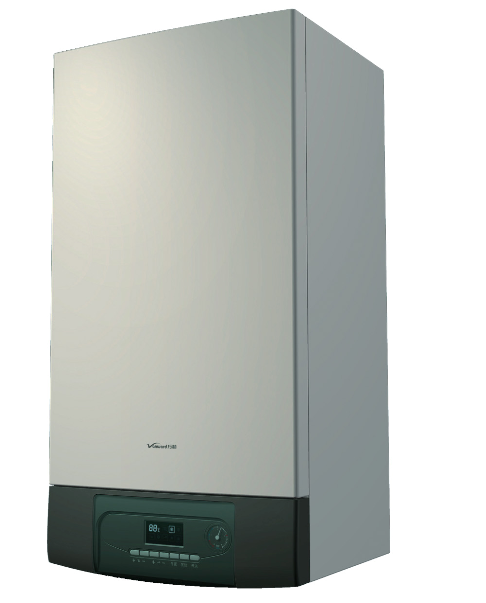 If it performs well, residential wall hung boiler is on standby. 1. We offer a wide range of China gas boilerss with a model and output to meet all your heating and hot water demands. 2. It features reliable and efficient hot water flow rates for increased homeowner comfort. 3. It is with high thermal efficiency and low energy consumption. 4. It is with low noise and long working life. 5. 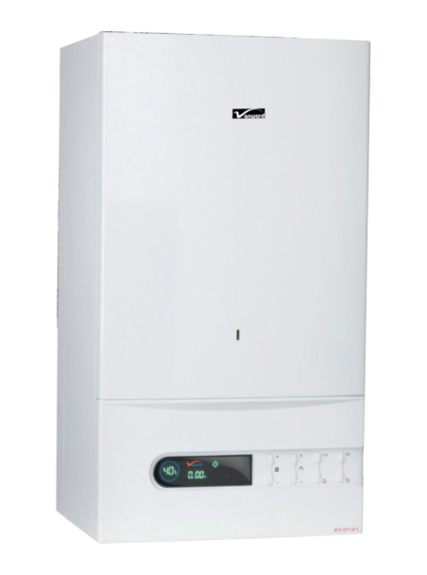 Our residential wall hung boilers are of high security, as it adopts advanced control system. 6. It brings in advanced European technology to develop various China gas boilerss for different customers. It is with output power of 18kW, 24kW and 30kW. It is suitable for houses with areas from 50 to 400㎡. 7. We are with strong annual production ability. We can produce 200,000 sets of residential wall hung boilers each year. 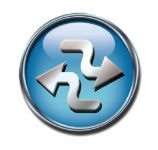 Vanward "Dual Energy Cohesion” Condensing Technology It’s well known that the burning process of gas may cause exhaust gas with high temperature and a lot of vapor. After five years’ research, Vanward finds out that, once the temperature of the exhaust gas has been forced exchanged into drop below dew point (the water transitional point that vapor turns into water), the vapor contained in exhaust gas will be condensed into water and release great amount of latent heat. Take advantage of the latent heat by the condensing heat exchanger into the cold water, finally this pre-warm water progresses into heat exchanger with the forced heat exchange technology for the second time. And such procedure circulates forward. 1. Our China gas boilers uses advanced technology and appearance design in accordance with European products. It operates under regular mode or low temperature condition heating mode by setting the temperature precisely. 2. Residential wall hung boiler has twenty sufficient safety protections. 4. China gas boilers is with high flow of hot water central supply, which is able to provide hot water for several users simultaneously. 5. Residential wall hung boiler has automatic control for free adjustment of heating temperature, which complies with different heating mode to satisfy specific requirements. 2. All the important components are from the top-ranking professional manufacturers all over the world. Our technology testing center performs strict reliability and resistance test for the parts and they are of high quality. 1. Choose the right residential wall hung boiler as per your house needs, including house dimension, rooms to get heating and whether there is a need of domestic hot water. 2. Pay attention to energy saving performance of the China gas boilers, because the one with good energy saving capability will not only lower cost, but also improve your life quality. 1. Make sure that you have your boilers regularly checked once per year by a certified professional, which will help you avoid serious inconveniences in the long run. 2. Run heating at least once a month, which can ensure that your China gas boilers keeps on running smoothly and also to clear out the dirt and grit that might collect on the boiler parts due to disuse. 3. Install a carbon monoxide detector. As a precaution, make sure that you have one installed near your China gas boilers.